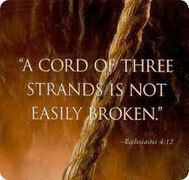 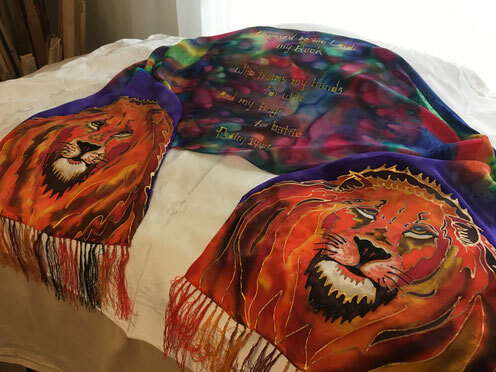 David's Warrior Shawl - 3 Strand Cord Silks - Glowing Silk Flags & Billows based on the Bible, Jesus and His Church, to enhance your worship of God! 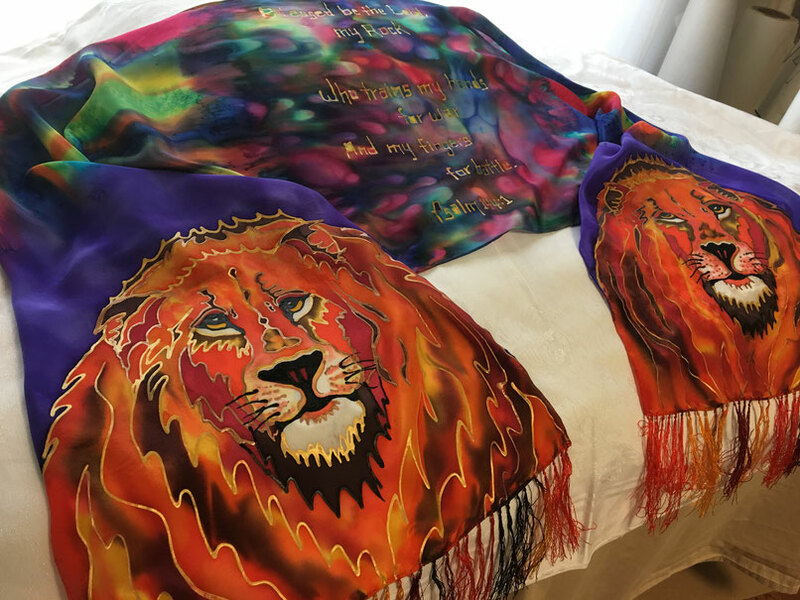 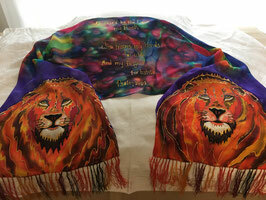 Two fighting lions on each end of a silk shawl with an epic battle of colors streaming from the center verse, Psalm 144:1 Shawl is 14 X 72". 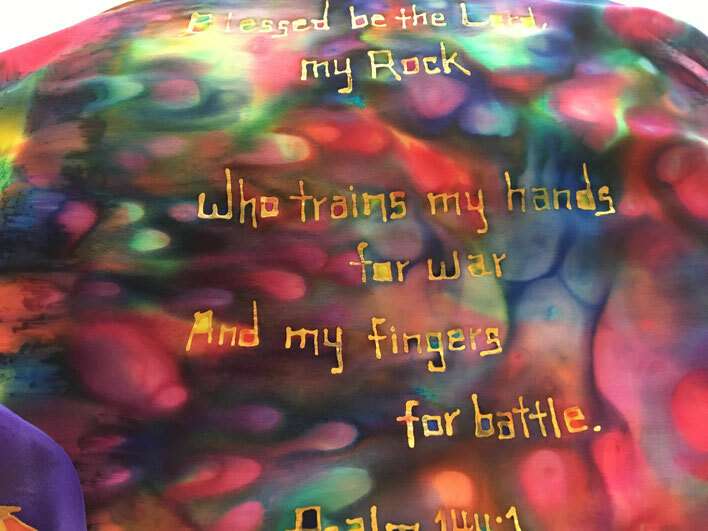 Center of Warrior Shawl depicting the heavenly battle of Spiritual Warfare.